Purobio Vegan "Look at Me" Mascara defines and gives volume for ultra black lashes! 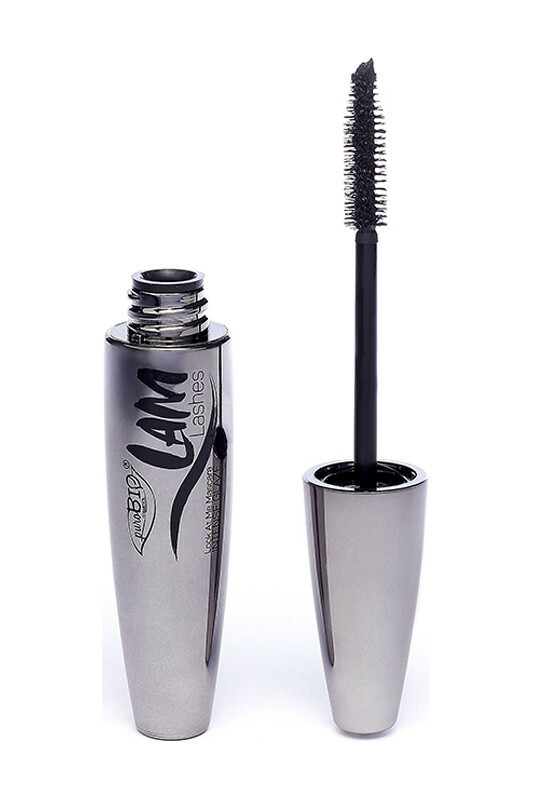 Perfect for an intense look, your lashes are curved and elongated! Creamy texture and easy to apply thanks to the combination of organic Aloe Vera and organic vegetable glycerin. Soothing and moisturizing for your lashes, this soft formula is suitable for sensitive eyes. The tapered brush envelops all lashes, even the thinnest and shortest. With Purobio Organic LAM Mascara, your lashes are not heavy, your eyes are intensely bewitching! Purobio Organic LOOK AT ME Mascara is intense! Layer 1: Your lashes are defined and lengthened. Layer 2: Your lashes are more voluptuous and extraordinarily intense. Layer 3: deeply black, voluminous and magnetizing lashes. PUROBIO Vegan Glaze Look at Me Mascara moisturizes your lashes!